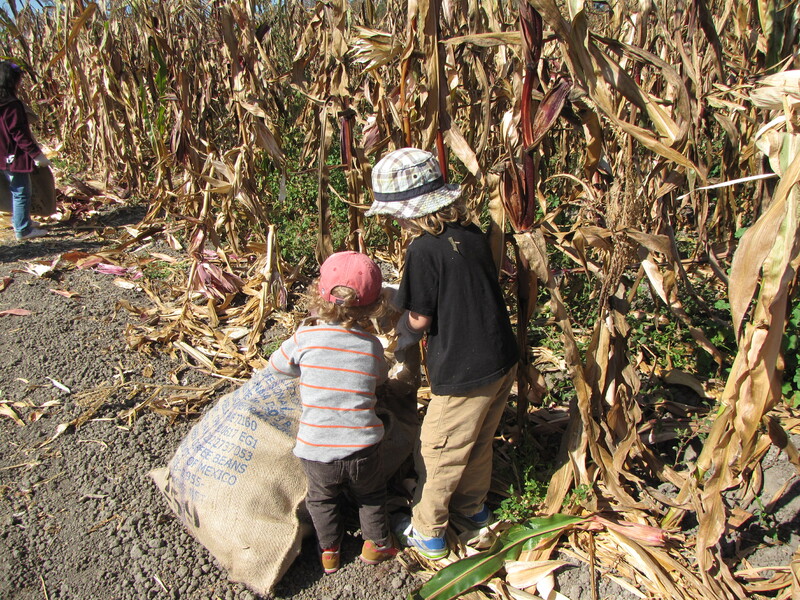 We picked and shucked and popped our own corn. 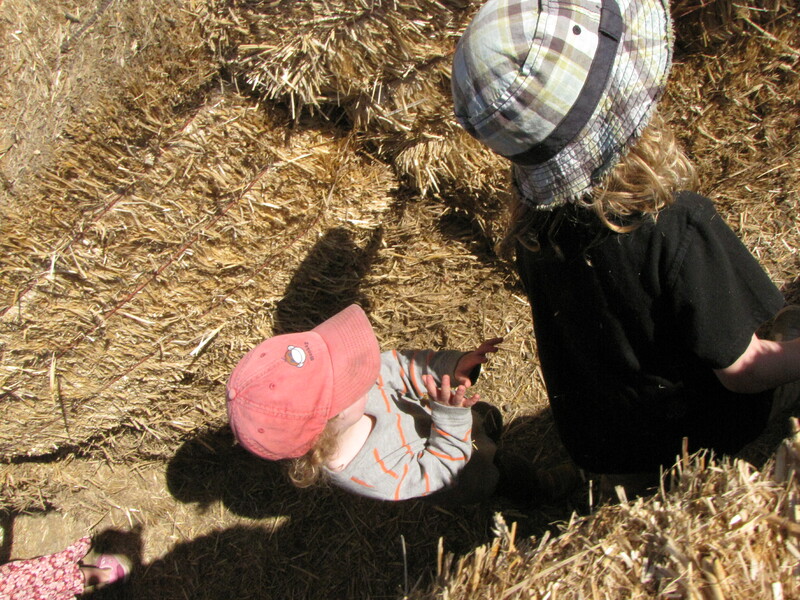 They wandered hay mazes at top speed. Peanut picked out, designed, and carved his own pumpkin. I carved all the shapes Butter drew on the one he picked out. Happy middle of October, everyone! Come on over, because we’re totally ready. Like right now. As in please come by and distract my kids because they think (despite my repeated clarifications) that Halloween is tomorrow. This entry was posted in Child Wrangling, Crafty Awesomeness. Bookmark the permalink. My kids think so too. Bring em over and we will cider and roasted root veg them up. Then we can skip candy day? I love fall, and these pictures. We need to get on it. 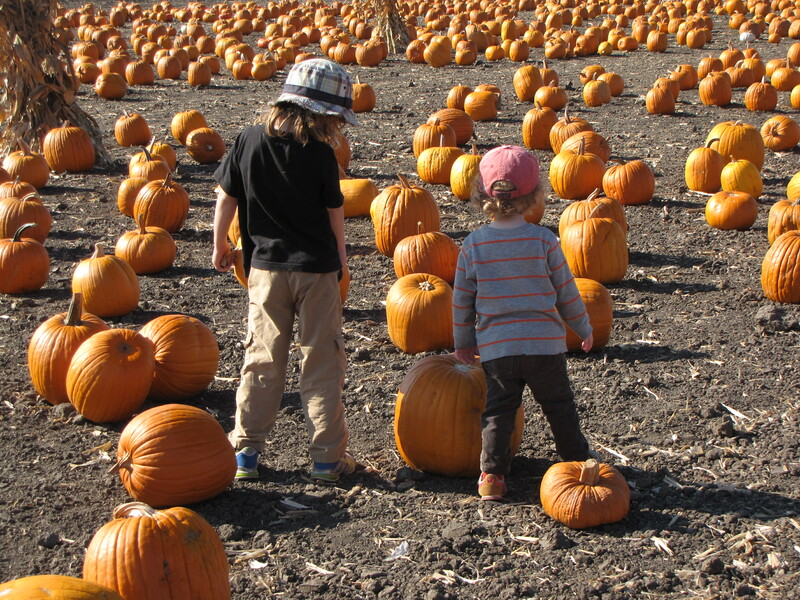 We have yet to make it to a pumpkin patch or an apple farm! Plenty of time, Emily. Plenty of time. 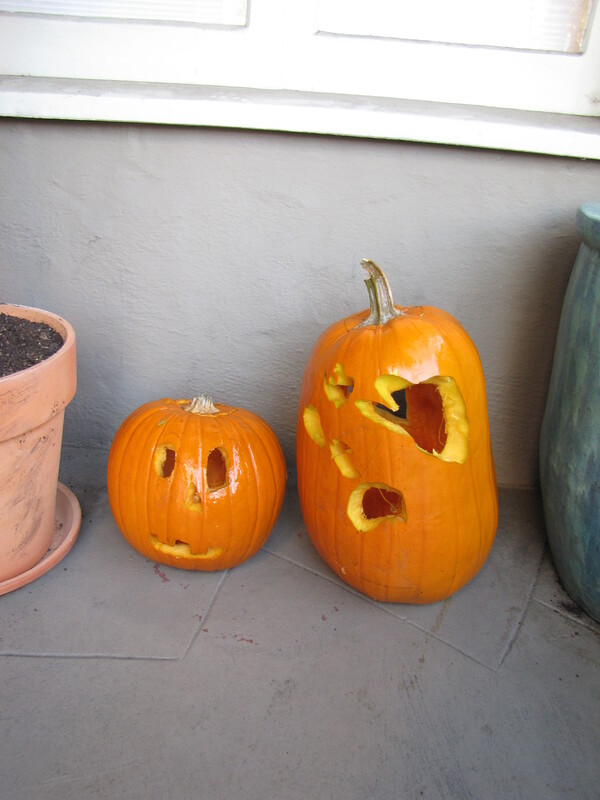 I love it that you let your kids design their own pumpkin and then you cut it out accordingly. What a great mom! Bonus points for giving the six year old a knife, right? I’m *awesome* on art for its own sake, if I do say so myself. I have nothing at stake in having Martha Stewart crafts. My kids are the bosses on art. I get the supplies, do the sharp stuff, and step out of the way. Love that pumpkin, and that you have a picture of it. Me, too, on both counts. holy pumpkin mine field, batgirl! It’s the eve of the eve of the eve of the eve……. of Hallow’s eve. IOW, it is tomorrow.